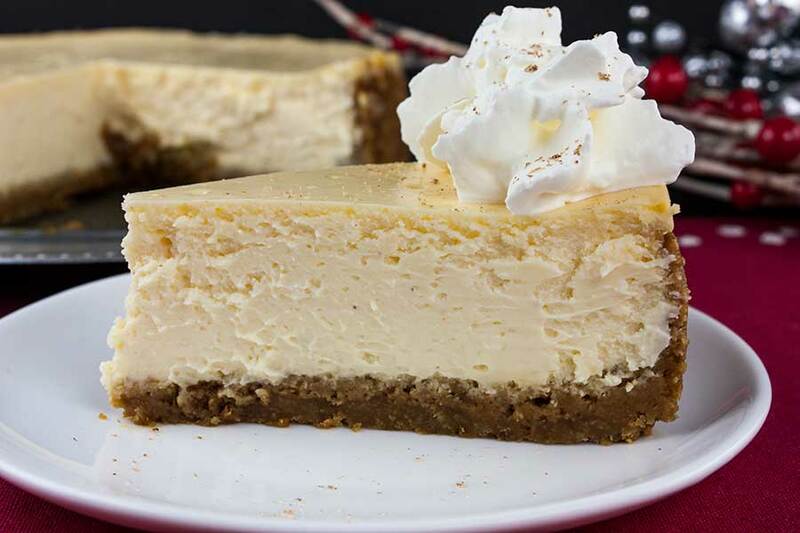 Eggnog Cheesecake with Gingersnap Crust is thick, rich, creamy, and full of classic eggnog flavor! It features the traditional warm spice flavors of the holidays. 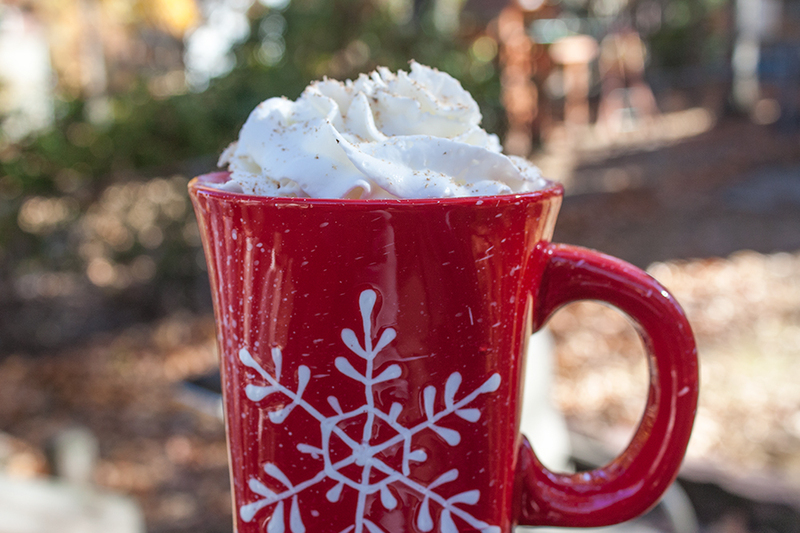 A perfect way to indulge during the season! 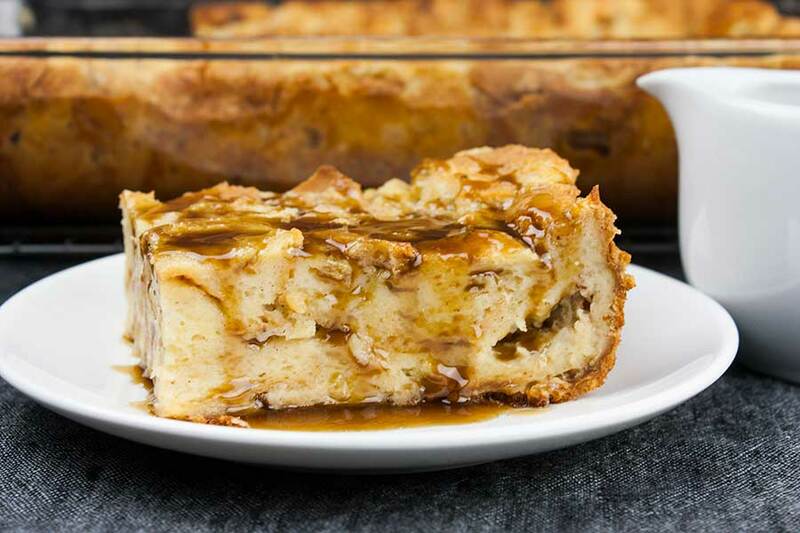 Simple and easy to make when you need a dessert to serve during the holidays. 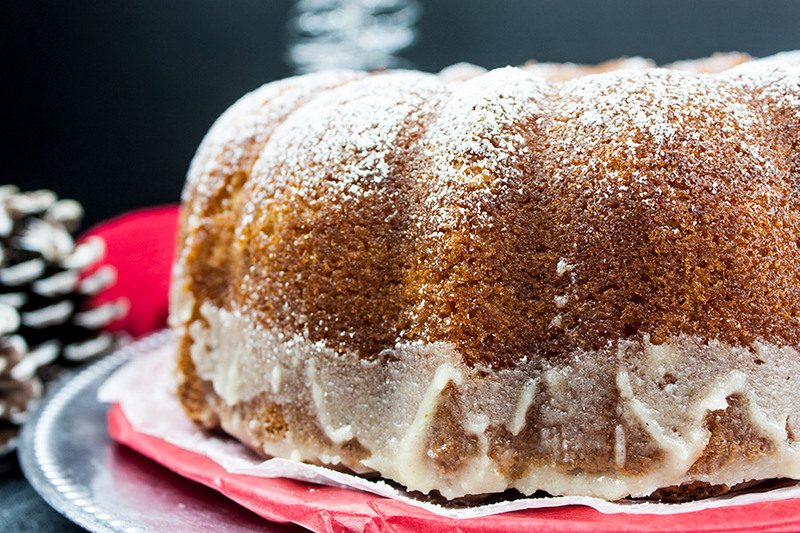 Or just another way to use the leftover eggnog that’s taunting you from the fridge. 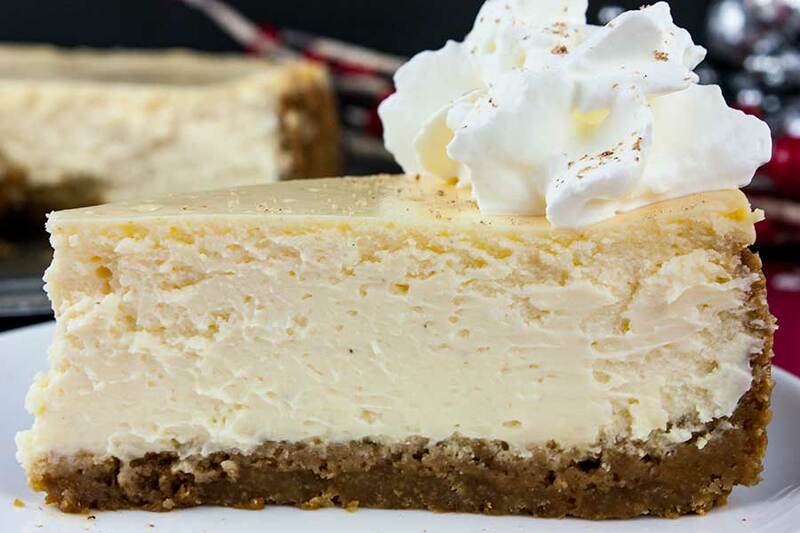 Cracks in a cheesecake have happened to most of us. It doesn’t affect the taste or texture but it can be very disappointing. My best tip is to bake the cheesecake in a water bath. This will help with an even, gentle temperature, and keep the air in the oven moist. Also, keeping the oven temperature low. A water bath is a method used, sometimes called a bain-marie which is hot water in a container, placed in the oven. 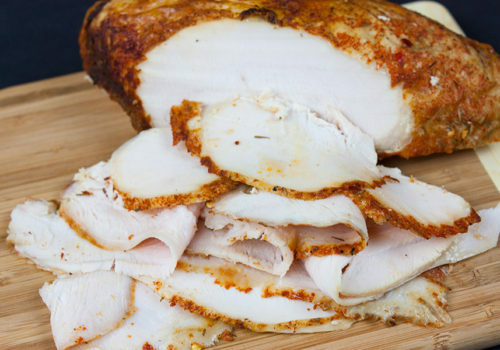 Steam evaporates and allows the moisture to circulate in the oven. The important thing to remember when using the water bath method is to make sure your baking pan does not have any gaps or holes where the water might be able to leak into your cake. 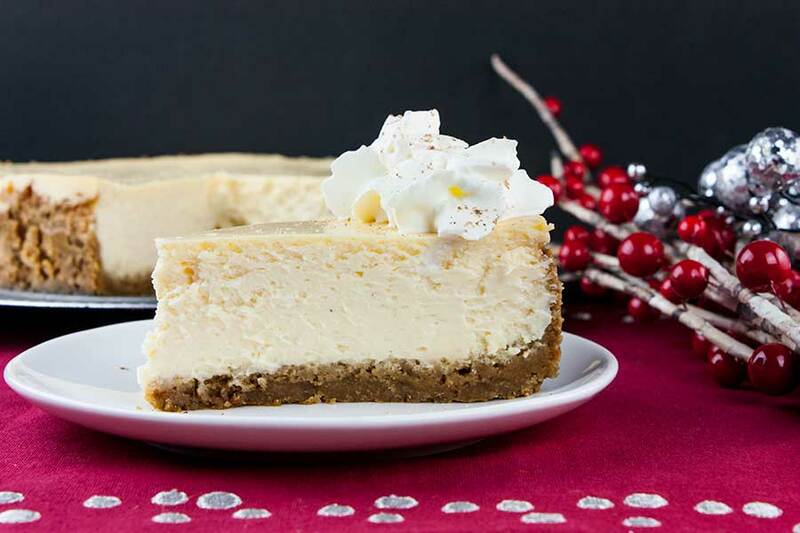 Bake the cheesecake as stated in the recipe. When the time is up, you should have a slight wobble in the middle of the cake that will firm up as it cools. Make sure your ingredients are room temperature, combine the ingredients well, and add the eggs right at the end. The trick is to mix the ingredients well so there are no lumps, and then once smooth, add the eggs gently beating. The eggs have a tendency to hold air, so mix the eggs in well, but slowly, to avoid getting any air bubbles into the batter. Begin with the crust by crushing the gingersnap cookies in a food processor until fine crumbs. In a medium-size bowl combine the cookie crumbs, sugar, and melted butter. Mix until combined. Wrap the outside of a 9-inch springform pan with two layers (very important to keep water out) of heavy-duty aluminum foil. Grease the pan with butter or baking spray. Press the gingersnap mixture into the bottom and about 2 inches up the side of the pan. Bake for 10 minutes. In the bowl of a stand mixer beat the room temperature cream cheese until smooth and creamy. About 1-2 minutes. Add the sugar and eggnog and beat until well combined. Add the bourbon (or vanilla), and 1 1/2 teaspoons of freshly grated nutmeg. Beat on low speed until combined and smooth. Continuing on low speed add the eggs and beat just until combined. DO NOT OVER MIX. Pour the batter over the prepared crust. Carefully fill a large roasting pan with a few inches of boiling water. Place the cheesecake pan in the center of the roasting pan. Bake for 1 hour, or until the edges are set and the center is slightly jiggly. Turn the oven off and leave the cheesecake in the oven without opening the door for one more hour. Remove the cheesecake from the water bath carefully and place on a wire rack to cool completely. You can run a thin knife around the edges to loosen it from the pan if desired. I usually don’t have a problem with them sticking to the pan. Cover and refrigerate at least 4 hours, but preferably overnight. 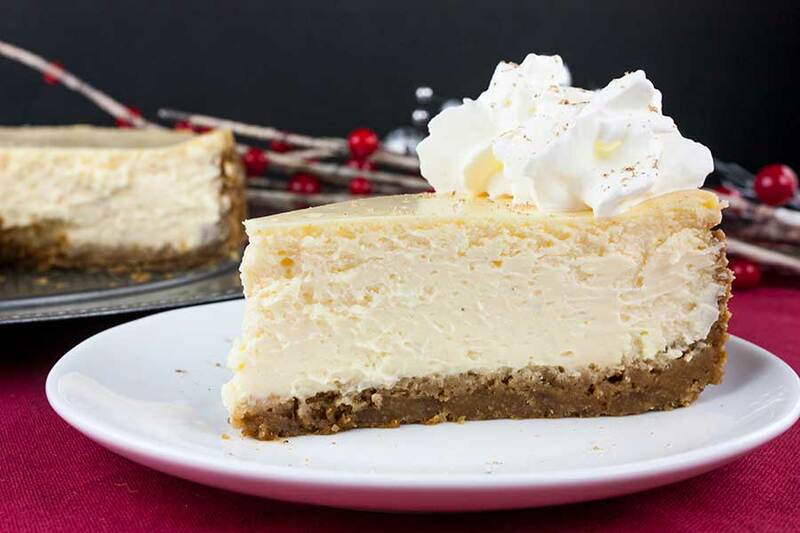 Slice, serve and enjoy this indulgently rich, creamy Eggnog Cheesecake with Gingersnap Crust! 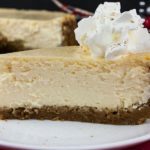 Eggnog Cheesecake with Gingersnap Crust - Thick, rich, creamy, and full of classic eggnog flavor! 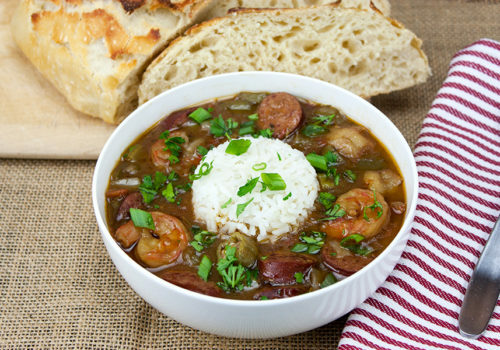 This recipe features the traditional warm spice flavors of the holidays. 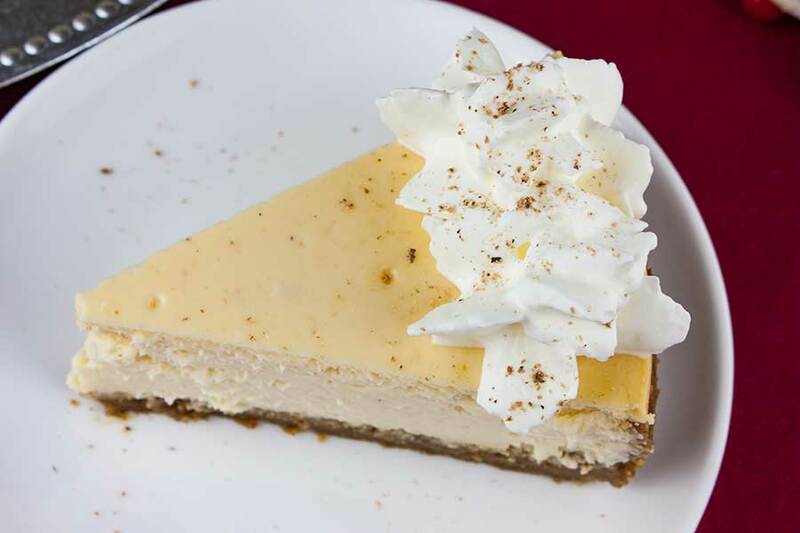 A perfect way to indulge during the season! Wrap the outer bottom of a 9-inch springform pan tightly with 2 layers of heavy-duty aluminum foil. 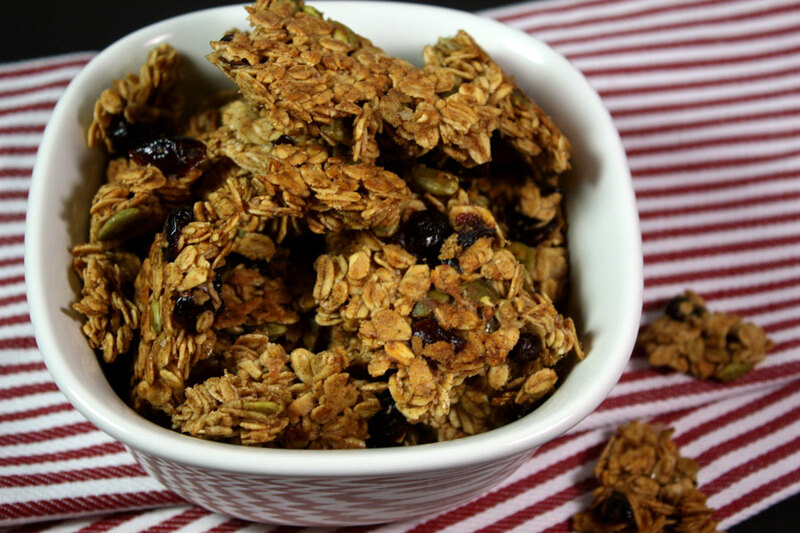 Combine the gingersnap crumbs, sugar, and melted butter in a medium-size bowl and mix until combined thoroughly. Press the crumb mixture into the bottom of the pan and about 2-inches up the sides. In the bowl of a stand mixer (or electric hand mixer) beat the cream cheese until smooth and creamy, about 1-2 minutes. Add the sugar and eggnog and beat until well combined. Add the bourbon (or vanilla), and 1 1/2 teaspoons of freshly grated nutmeg. Beat on low speed until combined and smooth. Continuing on low speed add the eggs and beat just until combined. DO NOT OVER MIX. Pour the batter over the prepared crust. 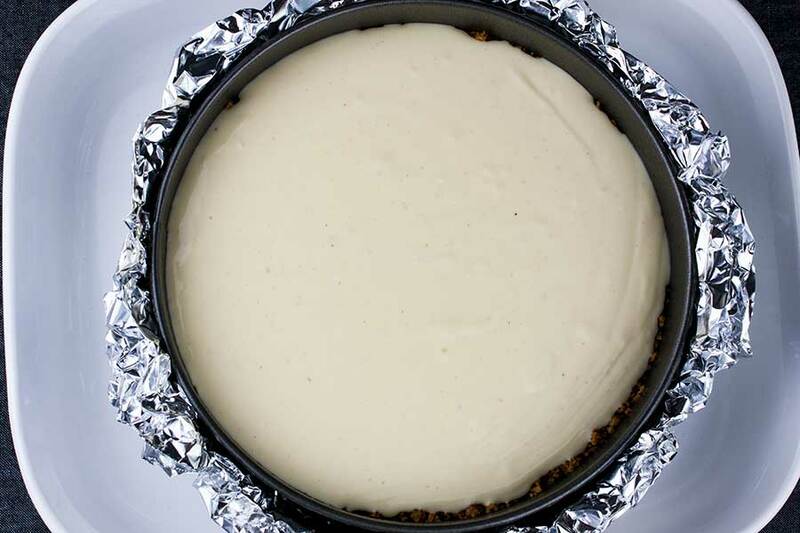 Carefully fill a large roasting pan with a few inches of boiling water and place the cheesecake pan in the center. Bake for 1 hour, or until the edges are set and the center is slightly jiggly. Turn the oven off, leave the cheesecake in the water bath in the oven for another hour without opening the door. Remove the cheesecake from the water bath and place it on a wire rack. Run a small knife around the outer edge of the cheesecake to loosen it from the pan and set it on a wire rack to cool completely. Cover and refrigerate for at least 4 hours, preferably overnight. Beat the heavy cream, powdered sugar, and vanilla with an electric mixer until stiff peaks form. Pipe the whipped cream on top of chilled cheesecake as desired. Garnish with additional freshly grated nutmeg.